We all know and love New York but we also know that we need to take precautions to keep ourselves and our property safe. 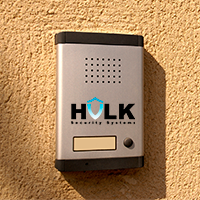 Providing innovative security systems, Brooklyn can count on Hulk Security Systems to deliver fantastic customer service. We specialize in advanced security products to protect any property that you might have. The need for security is high these days and police only expect break-ins to increase in this economic deficit. Protect yourself and your family with home security products that truly make it difficult for intruders to get in. Even if they do, our state of the art alarm systems will catch them and immediately call the police. Even when you aren't home, we are helping your home stay safe. When you head to your business, perhaps you run a store or a small office building, you start to wonder if it is secure enough. With many thousands of dollars in merchandise or computer equipment, places like this are often "hit" in the dead of night and the perpetrators escape before authorities can arrive. Take a stand for your Brooklyn business and arm your store or office with any of our wide variety of burglar alarms and powerful magnetic locks on doors to important storage areas. Cameras and motion detectors make it impossible for the culprits to get away. We take security systems in Brooklyn seriously, Our service is the best and we stand behind that. Even if you aren't sure about what kind of system to get for your home or business, with our staff's experience in the field, they will be able to offer you a free assessment and help you plan strong protection and detection to keep the bad guys out of the way.